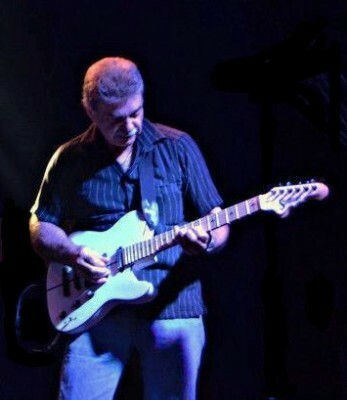 Stratage Guitars are handcrafted in Spring Hill Fl. The underlying theme was a desire to create a high quality instrument that robustly blended new technology with tried and true Luthier construction techniques. The early versions of Stratage Guitars all came with Great American Sounds Co. GASCAPS Active Electronics which were and remain a major break through in guitar tone, sustain and electronic performance. Over the past 9 years the product has evolved and much of the evolution was driven by our customers. The first issues we addressed were how to make them more affordable and the need to not only offer them with active electronics but passive as well which of course also impacts the price. We no longer do custom shop builds as we have changed our business model to manufacture in small lots (10-20 instruments). There is economy in quanity with regard to purchasing raw materials as there is in using assembly line techniques. We still hand craft every Stratage Guitar but our production times have been dramatically reduced and this bodes well for the purchaser and us. If you wish to learn more about the Great American Sounds Co. PAF GASCAPS active electronics give us a call or send an email. You will find this to be an extremely credible imbedded electronics package providing remarkable performance enhancement and a very handy feature set for the player. No Batteries required! Although we bo longer custom build from the ground up there are still customizations available to the end user. Finger Board Woods, Fret Material, Pick Ups, Hardware and in some cases finish alterations can be accomadated. If you have an interest don't hesitate to ask.